Friday 5: Adult Napping, Diversity, Graduation 2014 | Where's My Eraser? I’m not in the habit of throwing around free advertising, but this new Google Search commercial is a fantastic tribute to 2014 graduates. It showcases the terrors of being a freshman to the triumphs of senior year and everything in between. It’s worth your 90 seconds. Education Week Teacher put out a call a couple of weeks ago for teachers to upload representative photos of their workdays to Instagram. The result is a compelling compilation of snippets of a teacher’s day, as recorded by teachers themselves. The photos are vibrant and thought-provoking and oh-so-real. From the pre-dawn alarm clock to the late-night grading session, this gallery captures the hectic, exhausting grind that these people undergo day-in, day-out. And interspersed with the stresses and tedium are the bright moments of joy and inspiration that teachers get from their students. You’d be hard-pressed to find someone who puts in longer days than these people. Today, community colleges enroll 7 million degree-seeking students — more than 40 percent of U.S. undergraduates. Community college freshmen are much more likely than selective four-year college freshmen to be students of color. Indeed, half of all Hispanic-Americans — the fastest growing segment of the US population — who enroll as undergraduates start at a community college. With the recent US Supreme Court decision upholding states’ abilities to ban affirmative action, colleges and universities are scrambling to find new ways to increase minority enrollment. Innovative solutions like recruiting high-achieving transfer students could be key in doing just that. Now here’s an idea that would have made my undergraduate degree much more bearable. 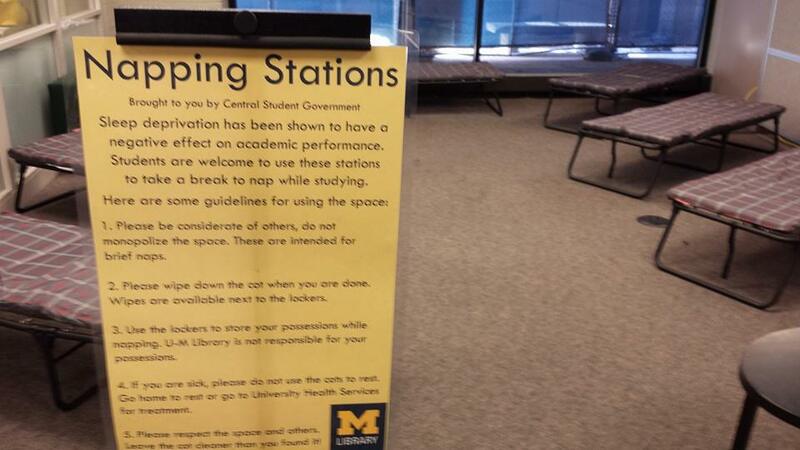 The University of Michigan’s undergraduate library, usually referred to as “The UGLi” by students (yes, it’s apt), recently implemented napping stations during the height of finals. When I was an undergrad there, I definitely fell asleep in public in some odd places on a regular basis. I’ve even seen people set up camp by claiming an entire table, draping clothes over the sides, and sleeping under it like it’s a tent. For so many reasons, this is one of the best ideas the UM student government has ever had. I can guarantee that the only problem they’re going to have with these cots is that they’ll be too popular for the demand. And here’s something that makes me feel like I’m doing nothing with my life. 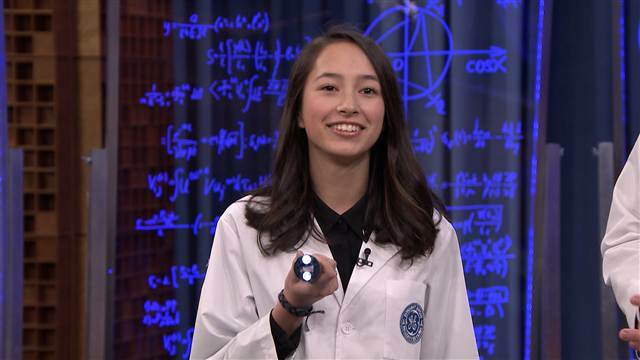 Teen inventor Ann Makosinski of Victoria, British Columbia came up with a way to harness the energy from body heat, a renewable resource that doesn’t require anything other than, well, being alive. Her interest was sparked by a friend in the Philippines who was struggling in school because she didn’t have an adequate light source in order to do her homework at night. The result of this problem and Makosinski’s ingenuity was a flashlight, seen above, that’s powered by simply holding it. She has since developed a headlamp prototype that stores energy during the day so it can be used at night. The ideas behind these gadgets are so simple and elegant. What a great example of how a child’s mind, uncluttered by lectures and book knowledge, can develop some striking solutions to complex problems. This entry was posted in Friday 5, News & Media, Postsecondary Education, Teaching and tagged affirmative action, Canadian education, community colleges, Google, Graduation 2014, higher education, inventions, teachers on May 23, 2014 by Chris Thelen.